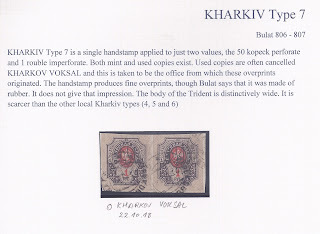 Ordinary catalogues list three Kharkiv / Kharkov Trident types. 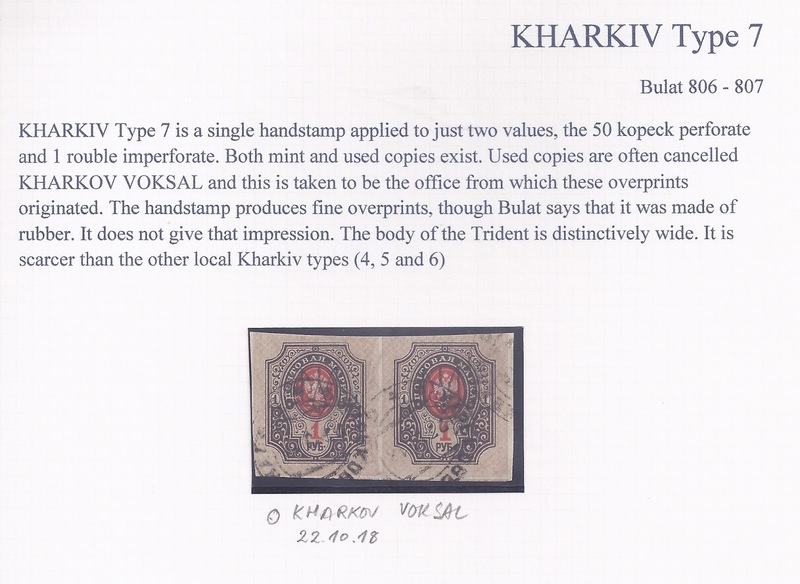 The specialised Bulat catalogue lists eight. 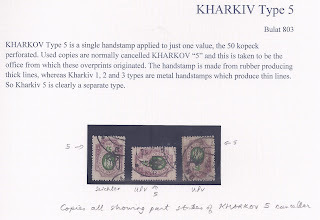 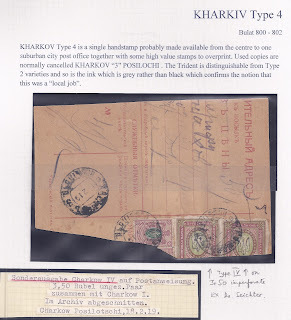 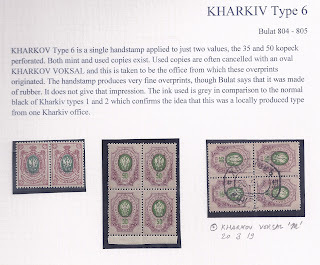 Type 3, larger than 1 or 2, applied with a vertical handstamp of 3 clichés to rouble value stamps. 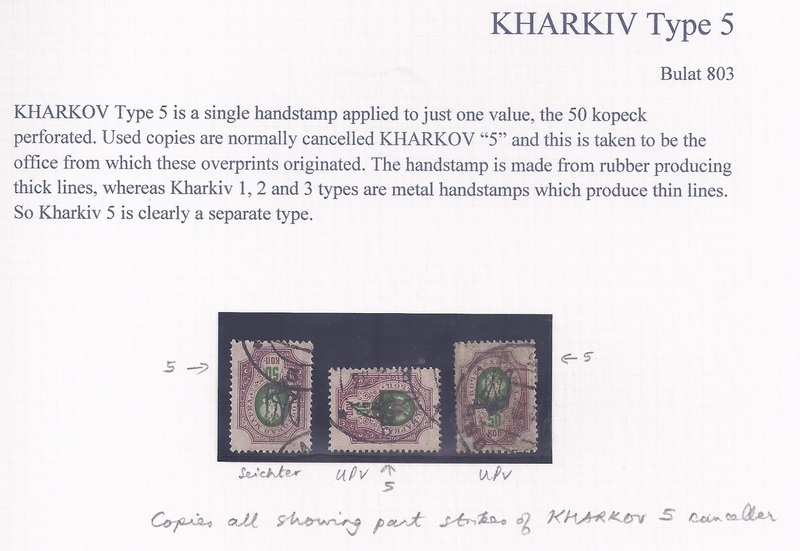 Three different handstamps can be distinguished. 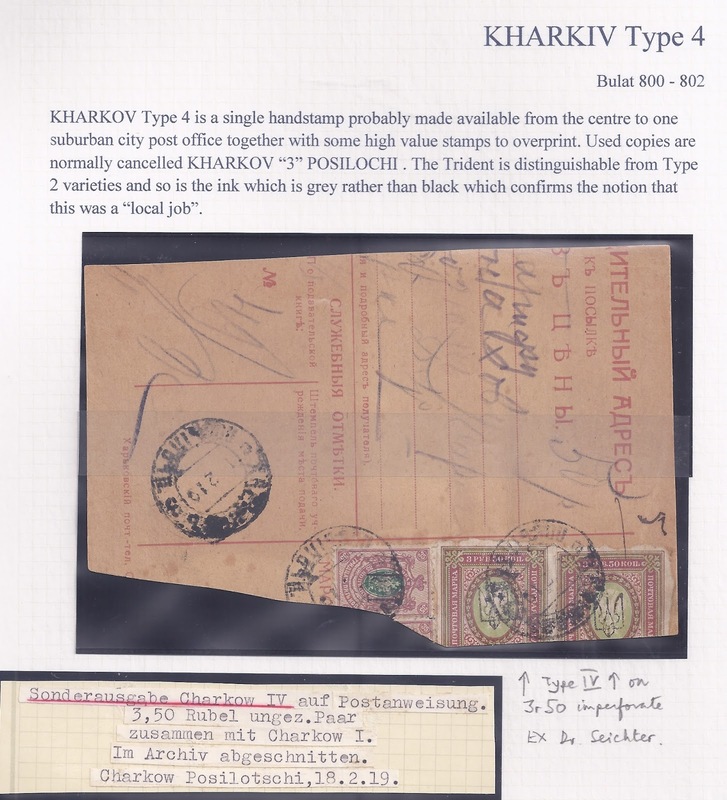 The basic research for this classification was done by Dr Seichter using complete sheets (which are in my possession now).